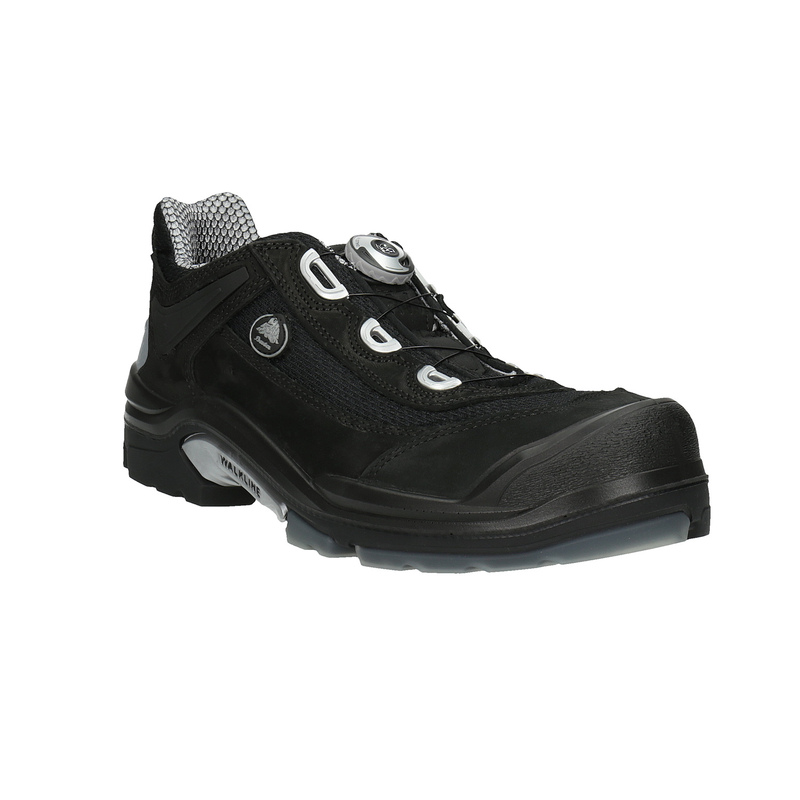 These certified work boots meet the S1P standard (protective toe and puncture-resistant insole) and their sole will resist heating oils. 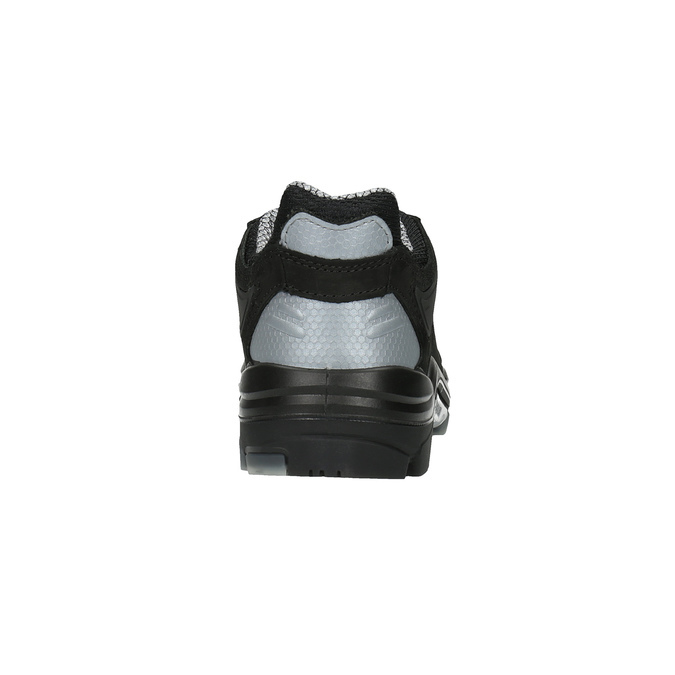 The upper is made of leather (Nubuck), the nylon mesh is breathable and the toe is protected from the outside. 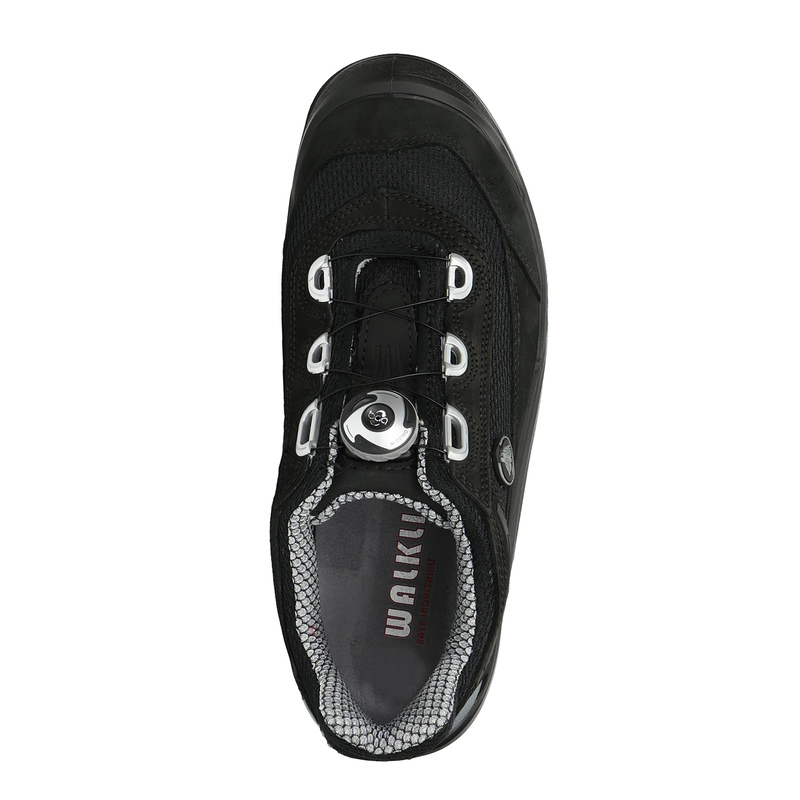 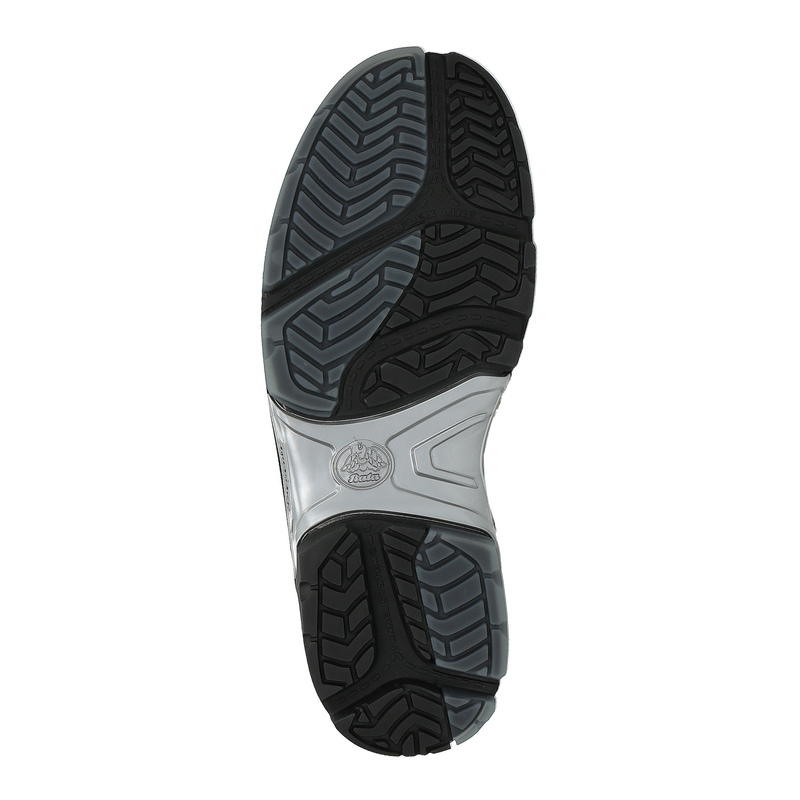 The special lacing system allows for quick release of the feet.